Your physical therapy practice’s logo should be an iconic visual representation of your practice. If any of your patients see the logo, whether it’s on a billboard, newspaper ad, or building sign, they should be able to instantly identify it and connect to your practice. Logos and graphic design are more than just creating images that look nice—branding, conceptual insight, and quality should inform and influence the imagery. Your practice’s branded identity includes your logos (icon and wordmark) and their treatment across your clinic, print, and digital marketing. Having a distinct branded identity helps new patients identify your clinic and reminds past patients about your care and results. But, there is often a case to refresh your logo and do a “rebrand” to update your logos. You can probably see plenty examples of old graphic design and physical therapy logos from other businesses and clinics. Having an outdated logo can create the public perception of being behind the times and not being cutting edge or relevant. You want to ensure that your physical therapy logos and marketing is on par with industry leaders. And, you want to have the best-looking website and print materials. Logos should visually epitomize your practice and give the foundation of your company colors. 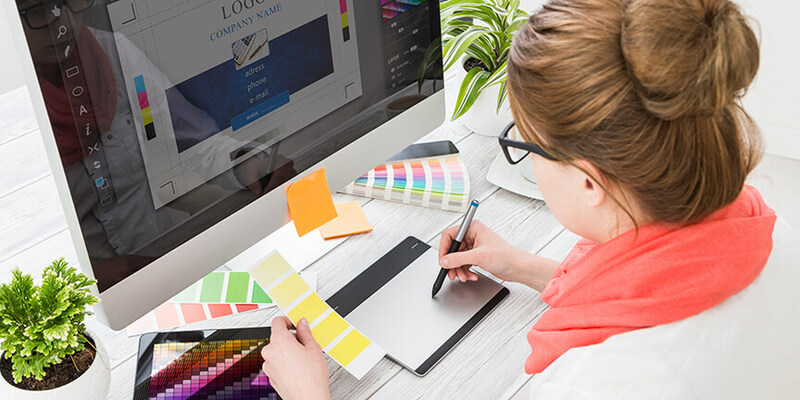 Your logos and colors will combine to influence the look of your website and print marketing. Thus, choosing the right image, font and colors is crucial. Your logos should be simple so that they stand out—nothing is worse than a complex or abstract logo that is confusing and not grounded in your practice’s mission. It’s best to have a few different draft logo designs and colors, and then ask a group of peers and patients which they like best. Whether it is your physical therapy website, newsletter or company materials, you need to have a beautiful, branded look. Everything should seamlessly carry through and really bring all of your promotions together. This makes it easy for a new patient, physician or the general public to identify your brand.